When the snow starts flying and the Lakes Region comes alive with skiers and boarders, Steele Hill Resort is the perfect choice for Gunstock Lodging. Our award winning amenities offer a great après ski experience. Spend the day enjoying Gunstock, the closest major ski resort to Boston, and spend the night relaxing in our pools or sharing a warming drink by the fire in Tova’s Tavern. Our spacious suites offer amenities that are unrivalled in the Lakes Region, from Flat screen TVs to Full Kitchens, all while providing plenty of leg room to stretch your sore muscles. Located only 20 minutes from Gunstock, Steele Hill has been catering to the ski crowd for decades. Guests can visit for a night or enjoy an extended ski vacation in our comfortable condo style units. 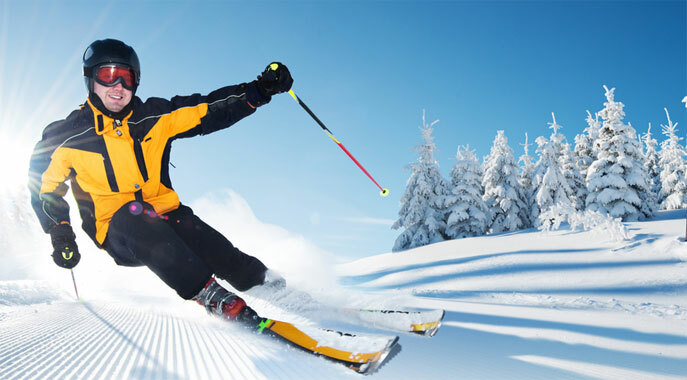 The resort offers exciting Gunstock ski and stay deals throughout the winter season. Our values are some of the best available. If you are looking for great deals on Gunstock Lodging for your next ski season, look no further. Steele Hill Resort is the perfect destination for skiers looking to hit the slopes and kick back in style.